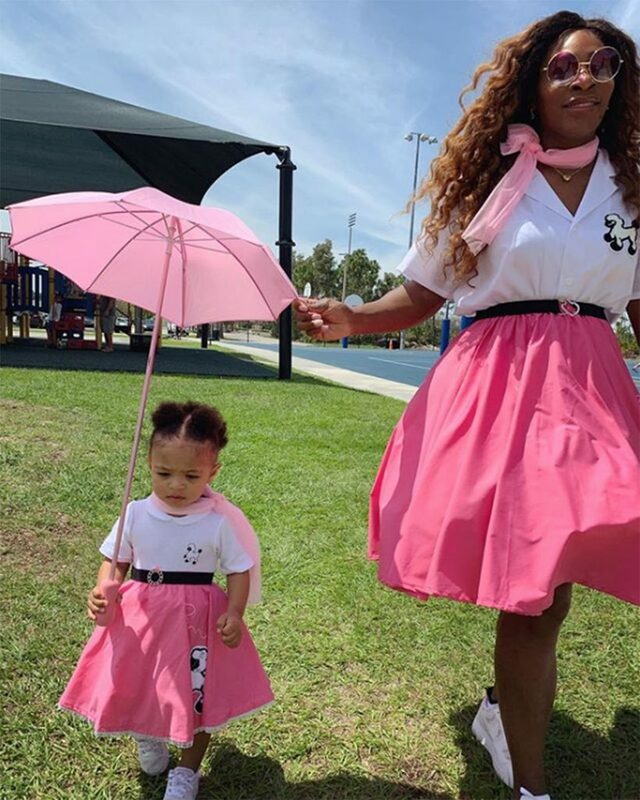 Serena Williams shared an adorable snap of her twinning with daughter Alexis Olympia in a pair of sock hop-style poodle skirts. “Pink things,” Williams, 37, captioned the post on Instagram Tuesday, adding that photo credit belonged to her husband, Alexis Ohanian. In the snap, 19-month-old Olympia stands next to her mom while holding a tall pink umbrella. Both are wearing white sneakers, a wide pink poodle skirt, white tops featuring sheep and a pink scarf. The adorable get-ups match the theme of Williams’ “Shake, Rattle and Roll” baby shower, which she celebrated with friends and family in August 2017. The fête was full-on ‘50s, complete with an old-school diner, a jukebox and throwback hairdos on guests like Ciara, Kelly Rowland, Eva Longoria and La La Anthony. The tennis superstar revealed to PEOPLE earlier this month that she hasn’t spent a single day away from her daughter since Olympia was born in September 2017. Williams also previously explained that she’s already helping Olympia put her best fashion foot forward by making sure she saves all of her own shoes for her daughter to wear in the future. “We don’t make shoes yet in the collection but my whole shoe closet is for her and that’s why I buy so many,” Williams told PEOPLE in December of her clothing line The Serena Collection. She added she was also “definitely” saving a pink sweater that reads, “I Am Beautiful I Am Strong,” for when Olympia gets older. 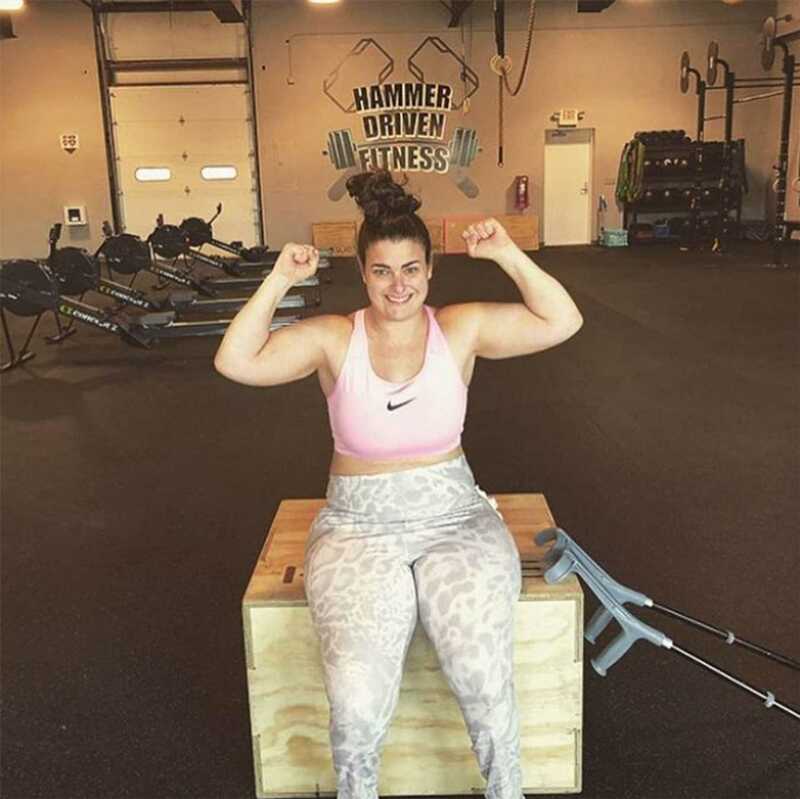 The athlete added 36 items from Olympia’s closet to her Poshmark account for purchase in March, the proceeds from which were donated to her Yetunde Price Resource Center, which offers “trauma-informed programs that promote individual and community-wide healing and resiliency.” Price was Serena’s half-sister; she was murdered in Los Angeles in 2003. Items in Williams’ auction included everything from a pint-sized tracksuit, to dresses, Gucci sneakers and even a T-shirt featuring Williams in the middle of a tennis match.